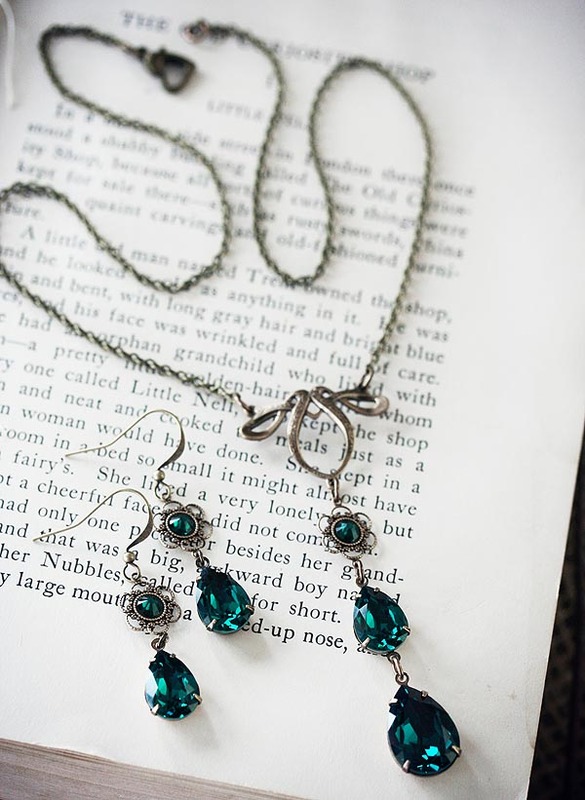 This exquisite Celtic inspired necklace and earrings is both dainty and detailed at once, featuring Emerald green Swarovski crystal pears with antiqued brass filigree stampings. 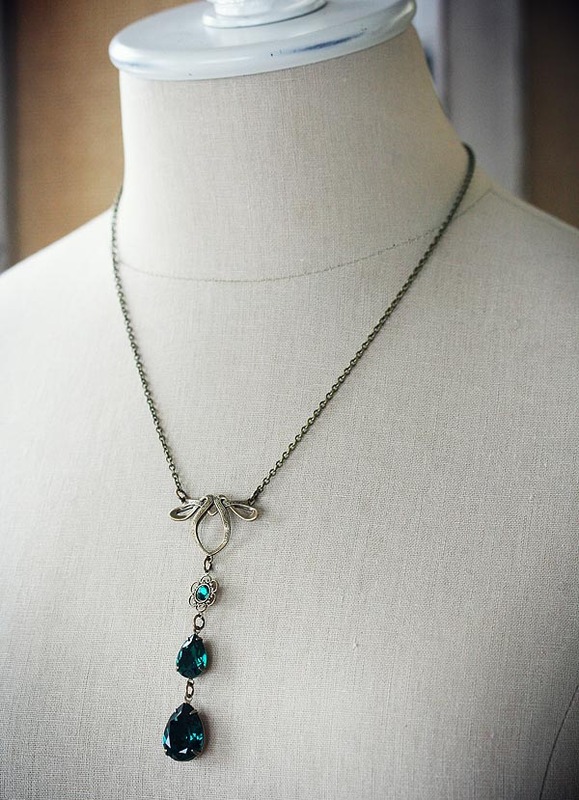 The necklace features a double crystal teardrop assembly hung from an elaborate connector stamping on dainty 18" long chain with a lobster clasp. 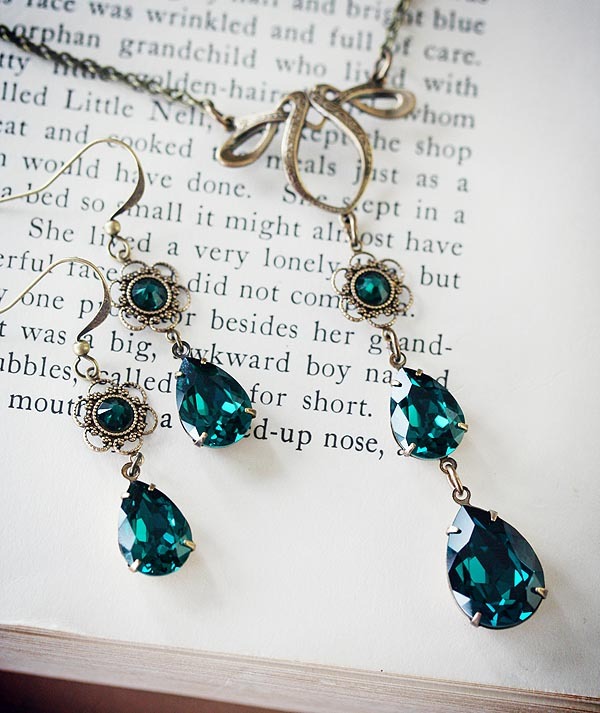 The earrings feature the same smaller Emerald pears suspended from filigree flower connectors with Emerald rhinestones. The earrings feature French wire hooks for pierced ears with clear rubber stoppers. I am always happy to adjust the chain length if needed by request.